Fusion welded frame corners for added strength & clean looks. 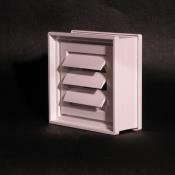 Significantly stronger than typical mechanically fastened vents. 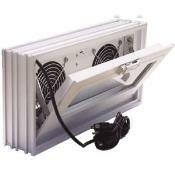 Manufactured with 1/8 " aluminum bar stock which is the heaviest material used by any vent manufacturer. 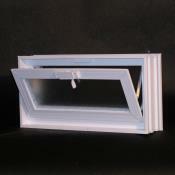 8" Sash units open to a full 90 degree angle. Each pane of the double pane sash has 4 seals around the perimeter to make a hermetically sealed unit to ensure that the weather stays outside. 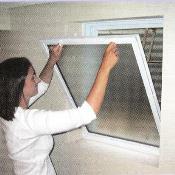 Our Exclusive use of the most advanced insulating glass system, Superspacer®. Superspacer® gives you a superior R value than traditional metal spacers.